Petbarn's new campaign is all about the special relationship between pets and their owners. The 30-second spot is the first by With Collective and Isobar since the agencies won the account. The spot introduces a new brand positioning 'Putting more care in pet care' and seeks to highlight the brand's focus on care, rather than price, as it's previously done. 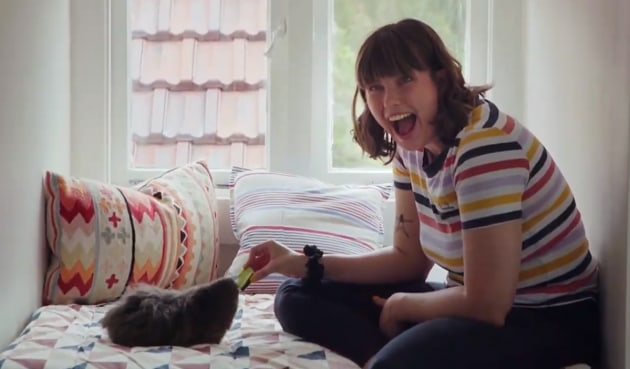 The TVC features a series of clips shot by families themselves with their pets, including playing with their cats, feeding their chickens and being woken up by their dogs. Petbarn CCO Tania Whyte said it's worked hard over the years to reshape its business around the proposition of care and hopes this campaign differentiates it from other brands. “While price is important to customers, we know owners also truly value giving great care to their pet,” Whyte said. With Collective CCO Steve Coll said the agency gave cameras to families in order to capture their unique bond with their pets. “We captured authentic individual moments that couldn’t be scripted or acted,” Coll said. The campaign rolls out across social, TV, out of home and in-store.